Four Eyes Philippines is the bomb! Why? Well, for starters, they help out blind lil girls like me see better and, second of all, they do so with the utmost style! As of this post, I have - count them - three pairs of Four Eyes eyewear. This just goes to show how much I truly love them and trust them with my prescription eyewear needs. I super love the design on this pair! Red frames for Wonder Woman! My current favorite vintage frames out of my entire eyewear collection. Every time I wear it, at least one person asks where I got it, after which i go into my 'Four Eyes Philippines spiel', explaining where to get them, why they're great and why I swear by them. True story. I even wore them on one of our Mad TV live episodes. I just love them that much. 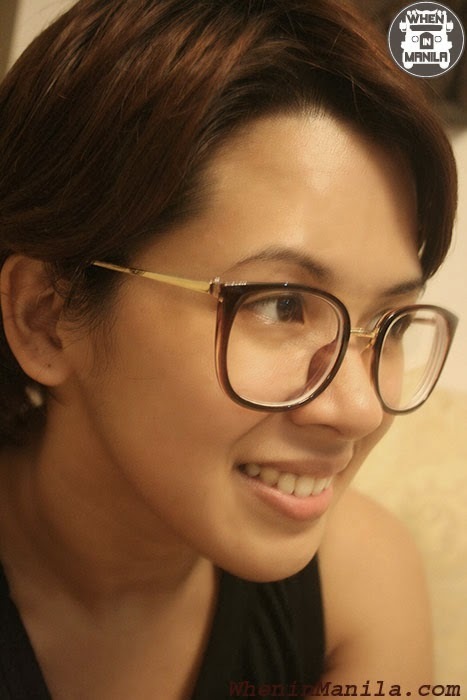 To find out more about Four Eyes Philippines, read my full article on When in Manila here. Let me be your person. Someone with a good last name and a killer kiss.